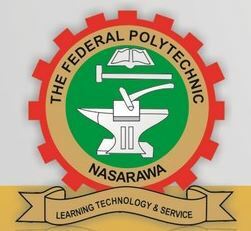 Federal Polytechnic Nasarawa has advertised for suitable qualified individuals to apply for the 2018/2019 academic session. PRE-ND || Duration- 2 Semesters: At least five (5) credits in the GCE O’Level, SSCE, NECO, or its equivalent in the relevant subjects including Mathematics and English Language. Candidates will be required to sit and pass the Unified Tertiary Matriculation Examination (UTME). The programme is strictly for applicants from Educationally Less Developed States i.e. Adamawa, Bauchi, Bayelsa, Benue, Borno, Cross River, Ebonyi, Gombe, Jigawa, Kaduna, Kano, Katsina, Kebbi, Kogi, Kwara, Nasarawa, Niger, Plateau, Rivers, Sokoto, Taraba, Yobe, and Zamfara States. Pre-HND/National Diploma (NDII || Duration- 3 Semesters: Ordinary Diploma or its equivalent in relevant discipline and five (5) Credits at not more than two sittings at the GCE O’Level, SSCE, or its equivalent in relevant subjects including Mathematics and English Language and any three relevant subjects. Polytechnic Diploma (Part-Time) || Duration- 4 Semesters: At least four (4) passes including Mathematics and English Language and other relevant subjects at the GCE O’ Level, SSCE or its equivalent. Note: The National Diploma (NDII) shall run for three (3) semesters, while the Polytechnic Diploma Programmes shall run for four (4) semesters. Strictly for applicants from catchment States of the Institution: Nasarawa, Plateau, Benue, Kogi, Niger and Kwara. Electrical/electronic engineering technology(Power Machines option) – HND/NDII/P. DIP. Mechanical Engineering Technology – HND/NDII/P. DIP. Architectural Technology – HND/NDII/P. DIP. Building Technology – HND/NDII/P. DIP. Urban and Regional Planning – HND/NDII/P. DIP. Banking and Finance – HND/NDII/P. DIP. Office Technology and Management – HND/NDII/P. DIP. Computer Science – HND/NDII/P. DIP. Science Laboratory Technology – HND/NDII/P. DIP. Agricultural Engineering Technology – HND/NDII/P. DIP. Quantity Surveying – HND/NDII/P. DIP. Mass Communication – NDII/P. DIP. Library and Information Sciences – NDII/P. DIP. Public Administration – NDII/P. DIP. Land Administration – POLY DIP. Civil Engineering Technology – POLY DIP. Agricultural Technology – POLY DIP. Entrepreneurship Development – POLY DIP. Environmental Management – POLY DIP. Crime Management, Prevention and Control (This programme is STRICTLY for personnel in the Military, Police, SSS, and other Para-Military Agencies, candidates are expected to show evidence accordingly). Interested candidates can obtain Application forms at a non-refundable fee of 6,000 naira only, upon successful payments on the Remita platform. Applicants may use their debit cards (Interswitch, Verve, Mastercard etc) or make cash payments at the bank to get an RRR-code to be used on the platform. Candidates are to then to proceed here to begin their application. Closing Date: The deadline for submission of applications is August 3rd, 2018.